When she’s not carefully composing plates at Elizabeth Restaurant, Chef Iliana Regan is foraging for the ingredients. Iliana Regan’s earliest memory of cooking is preparing mushrooms she foraged with her family in rural Indiana, where she grew up. Today Regan is putting her foraging skills to work at her restaurant, Elizabeth, in the Lincoln Square neighborhood of Chicago. “The concept is locally farmed, gathered, and sourced cuisine,” Regan says. She calls it “New Gatherer cuisine,” a nod to the gathering of ingredients and the gathering that people do around a dinner table. 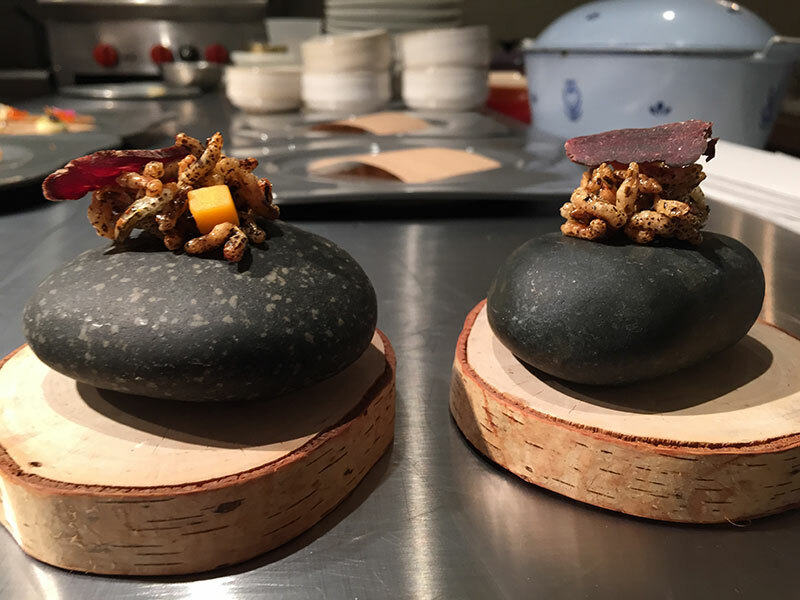 Some dishes use ingredients with which diners are familiar but have never had a chance to eat, like a bear rice crispy, a savory take on a Rice Krispie treat, made with puffed wild rice and a thin sliver of cured bear leg. Then there are ingredients many diners have never heard of, like pin cherries, a tiny fruit with a large seed that Regan makes into a sauce served with milkweed pods. I just cook what I know and what I love to cook, and that’s why I do it. Ingredients like bear, raccoon, or squirrel (which Regan says “tastes like tough chicken”) may conjure images of casual, homey dishes, but Elizabeth’s presentations and execution are as meticulous and artful as those on any tasting menu in Chicago, thanks in part to Regan’s stint at the highly-acclaimed fine-dining restaurant Alinea. After working at Alinea, she went on to run her own food business, One Sister, and sold pierogi at famers markets and held underground dinners in her apartment. In 2012, Regan opened Elizabeth, which she named for her late sister, who had an important impact on her culinary life. She hopes her current endeavor will help expand Chicagoans’ palates.